La Mouline de Belin, one of the most ancient medieval buildings of Letoure and recently restored with noble and eco-friendly materials opens its doors to welcome you in its cozy cottage, la Borderie, 2 guests houses and its table d'hôte. 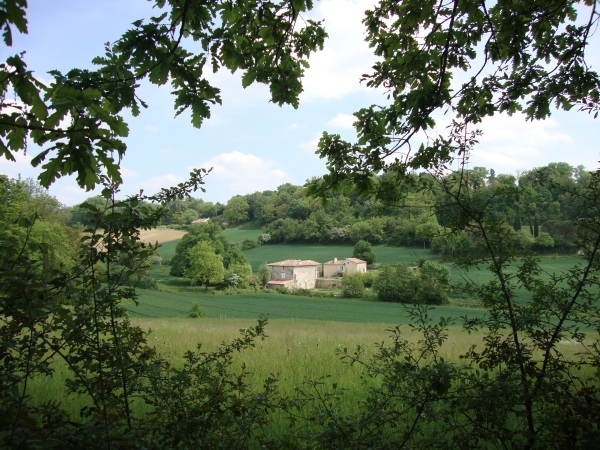 800m away from Lectoure, bording the authentic St James'path, the 15 hectares property cultivated organically offers to you an outstanding place to rest. There you will find a swimming-pool, a stream, a built fountain, paths to hike and discover the protected flora and fauna of the region. You will feel at home outside or inside of la Mouline de Belin, where a piano, a big fire place in winter, smells of fresh bread, jams and other sweet things will make you taste the best of our Gasconian tradition. Lectoure and its fortifications, city of Arts and History since the Antiquity is also an elegant and dynamic health resort and one of the "100th most beautiful detours of France" according to Michelin's tourist guide. From la Mouline de Belin, looking over the antique city, pages of History and legends are easy to imagine. And it is not rare, at the end of the day to catch sight of the "Green Bird" or the "King of the Horny men" from Jean-François Blade's tales.